Is this canvas wall art hand painted or printed? This canvas wall art Giclee artwork, Eco-ink resolution, flower painting printed on water-proof canvas. Is this flower artwork for wall come with frames or just canvas rolled? This flower canvas print is stretched on wooden frames, ready to hang on wall. Overall size 80"W x 40"H (16x24in x2pcs, 16x32in x2pcs, 16x40in x1pc), Total 5 pcs / a set. High resolution flower canvas wall art, HD pictures photo printed on canvas with vivid color on high quality canvas. Flower canvas painting Giclee artwork. Ready to hang on wall. 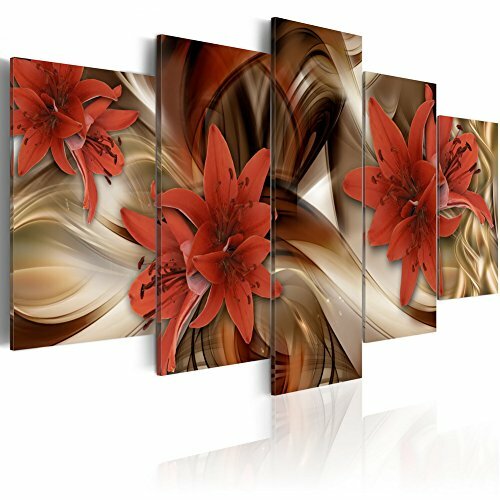 Floral artwork is already perfectly stretched on strong wooden frame and metal hooks have been mounted on each panel, which easily to hang out of box.